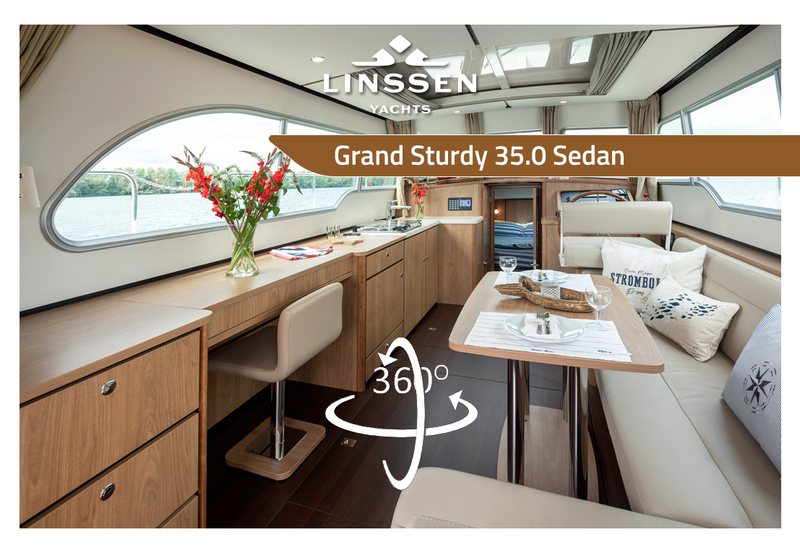 Walk with us through the Linssen Grand Sturdy 35.0 Sedan with these 360 degree interior pictures. All our offers are free of obligation. We reserve all rights relating to price and product modifications, changes to interior and exterior drawings, equipment tables and basic data, as well as any textual errors. Images, colours, descriptions and data relating to dimensions, characteristics, etc. are approximations and will not bind our company. The prices for all models in the Linssen Grand Sturdy Series include the three-year Linssen Yachts guarantee plan and a complete delivery package consisting of: full fuel tank(s), commissioning, testing, adjustment and regulation of built-in accessories and navigation equipment, complete testing programme, comprehensive technical instruction and trial sailing during the handover at the boatyard, a set of on-board documents, including a detailed owner's manual, technical explanation and diagrams, complete sailing inventory, reserve parts package, paintwork retouching pens, chemical toilet liquid and spare light bulbs. 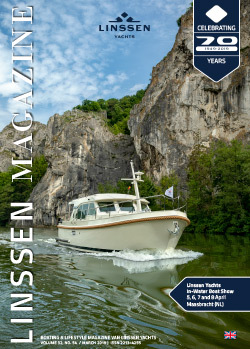 You can obtain detailed information about all Linssen yachts at our boatyard or from your Linssen Yachts representative.